← How Do You Like My Tie? Sometimes it feels as if it’s one step forward and two steps back with respect to marketers and social media. 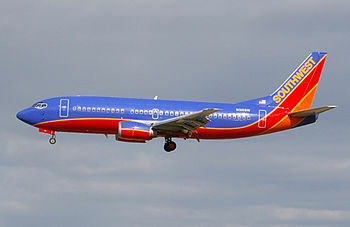 The latest example of this comes from a company that generally has a consumer friendly reputation, Southwest Airlines. I’m willing to cut the home office a little slack in the tale of woe I am about to relate. But only a little. Southwest, like every airline, has a top tier of frequent passengers. These are generally heavy business travelers and are the ones any airline executive will tell you really pay the bills since they’re often flying full fare and doing so frequently. They receive perks, and in Southwest’s case one of them is priority boarding. One of their “A-list” flyers was traveling from Denver with his young children (ages 6 and 9) and wasn’t allowed to board early because they don’t have VIP status. We can debate if that was a mistake by the gate agent or bad corporate policy but what happened next is really the point. He told the agent ‘Real nice way to treat an A-list. I’ll be sure to tweet about it,’” according to WCCO. He went on to do just that. According to him, it was “Something to the effect of, ‘Wow, rudest agent in Denver. Kimberly S, gate C39, not happy @SWA.’” Here is where things get interesting and, from a social marketing perspective, just silly. Southwest’s social crew does a great job listening. As an aside, they thanked this same traveler for a nice tweet about an agent a month ago. They saw the tweet and must have called the gate agent about the unhappy customer. The agent proceeded to remove the man from the plane (upsetting the children) and to demand that he delete the tweet to be allowed to travel. He did so and according to all involved there was no bad language and threats made by him. The agent did threaten to call the cops. Since this incident (for which Southwest has apologized to the traveler) there have been TV stories, newspaper articles, and many screeds such as this. The guy kept tweeting about it too. Southwest offered the guy three $50 travel vouchers. He has said he’ll never fly them again. So much for an A-list passenger’s business. I suspect the social crew at Southwest didn’t intend for the agent to take the action she did but someone should have thought about that being a possibility. I mean you call someone up and say they pissed off a top status passenger and now it’s on Southwest’s “permanent record” and what do you expect? As marketers we need to have thicker skins when we’re in the social stream. If you were speaking with a number of business partners and one said something a bit off-putting, you’d probably make a mental note and let it go. At worst you’d say something privately later. This just threw gasoline on an already lit fire. That fire has gotten brighter as it gets more oxygen from all that’s being written about the incident. It’s hard enough to develop an A-list customer. Retaining them should always be a top priority, maybe even if it means bending the rules (like expanding priority boarding to kids under 18) from time to time.